Here's what you will get when you buy 'Live in New York'; 12 perfectly crafted rock songs performed by a great band in front of an appreciated audience of The Living Room in NYC. 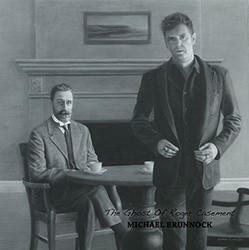 Michael Brunnock possesses an extraordinary voice, and his songs mine the profound. So it’s not surprising that David Byrne cast him to sing the role of an Irish musician on the brink of success whose voice guides Sean Penn through an emotional journey of self-discovery in This Must Be the Place (2012). 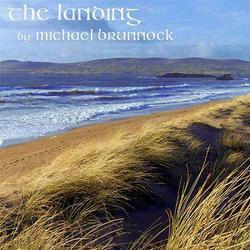 The score by Byrne with lyrics by Will Oldham (Bonnie Prince Billy) called for a distinctive vocalist, which Brunnock is. Brunnock’s sense of himself and his roots is deeply evident on The Orchard (2012 Araglin Records) A collection of gorgeously crafted songs that embrace a breadth of vision. 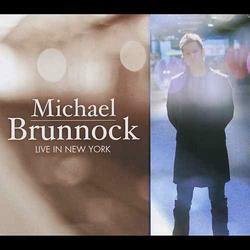 Featuring guest performances from Glen Hansard (Swell Season), Julia Stone, Ari Hest and Joe Sumner, the album is Brunnock’s third since Live in New York (2009) and So I Do (2007). Mixed by triple Grammy winner Patrick Dillett, The Orchard is due for release in February 2012. His exquisite rendering of Down by the Araglin pays homage to the grandfather (also named Michael Brunnock) whose singing of this and other local ballads captivated those gathered around the fire in the family’s kitchen. The younger Brunnock has learned his craft well, deftly weaving fine lyric with powerful melody in a song like Man Overboard in which an emigrant’s material success is contrasted with the treasure left behind. In Untouchable, with Glen Hansard on guest vocals, Brunnock asks what it means to be a man, a warrior, a father; to live free in the modern world: Am I man enough to taste flesh burned to the bone? Gameboy hero, as I kill from a drone. Powerful melodies and angelic harmonies are driven by a strong personal vision onSong of the Lark, Every Step and Soft, White and Indigo.Brunnock’s remarkable voice shines throughout, drawing the listener in with an authentic vision and Irish soul. Brunnock established his solo career when he relocated to New York City a decade ago, having performed through the 90s in Ireland with the bands Little Palace and The Van Winkles as well as with Dead Can Dance’s Brendan Perry. Since then he has toured extensively in the States, opening for the Frames and The Swell Season on recent sold out American tours, and has appeared on TV shows such as FOX 5’s ‘Fearless Music’.